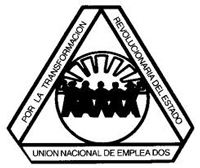 The Nicaragua Solidarity Campaign Action Group (NSCAG) works with Nicaraguan trade unions from various sectors, all of whom are members of the FNT (National Workers' Front). Since 2007, when the FSLN (Sandinista National Liberation Front) returned to power, Nicaragua had undergone a remarkable transformation and the trade unions have seen the restoration of their rights following 17 years of right-wing government. This period saw the decimation of the labour and trade union movement, with thousands of public sector workers sacked and the trade unions severely weakened. The legacy of the neo-liberal period is that Nicaragua remains the second poorest country in the Americas after Haiti. Some 65% of Nicaraguans work in the informal sector, for example selling goods at traffic lights and as ambulant market sellers and street sellers, and unemployment remains high at around 800,000 out of an economically active population of 3.2 million. The trade unions see the fight against poverty as one of their main tasks. They have prioritised employment creation and the improvement of working conditions for their members. A tripartite agreement between Government, the private sector and the unions was put in place at the beginning of 2014. Although there were some concerns that this would weaken the unions, it has in fact enabled the unions to gain significant increases in salary an an increase in the minimum wage for workers in the public sector. They have also successfully fought against a proposed increase in the age of retirement. The right to organise and the right to strike are enshrined in the constitution, although there have been only 3 strikes since the FSLN came back to power (as opposed to almost 500 during the neo-liberal years). The unions are also represented in the National Assembly and have a seat at the table at almost all levels of commerce and government. In January 2014, a 50/50 law was introduced as part of Nicaragua's constitutional reforms. This law requires there to be a quota of at least 50% women standing as candidates for public office and party political posts. The law is being fully implemented in the trade union movement and has led to huge advances in terms of gender equality and women's empowerment, with women playing a much more active role in union work and putting themselves forward for leadership roles. In May 2013, the Nicaraguan Labour Code was reformed. The unions saw this as a very important step, as it succeeded in reducing the backlog of cases waiting to be heard in the labour courts by 50%. The new Code allows for trials to be conducted orally and for workers to file their application before a judge verbally. There is also a fixed time limit and workers now have the right to be accompanied in court by their trade union representative. Processes which previously took four years to complete can now be done in just over an hour. Most demands relate to redundancy payments and reinstatement in the workforce. Since the reform was introduced, there has been a notable increase in cases being resolved through Conciliation Audiences, which was not previously an option.Unions have praised the new system as something which needs to be supported and continued. Unions affiliated with the FNT hold 80% of trade union membership in Nicaragua. There are a number of other federations representing different political views and ideologies - these are CAUS, CNT, CUS and the CUT - but they are very small. However, they do take part in collective bargaining and co-ordinate at national level with the FNT to discuss matters such as social security and the minimum wage. Trade unions operate freely in Nicaragua - unlike some other countries in Latin America, not a single trade unionist has been oppressed, imprisoned or killed. The FNT (National Workers’ Front) was setup on April 28th 1990 in order to coordinate the work of the different Sandinista unions in defending the gains made for workers under the revolutionary government of1979-1990. During the 1990-1994 period thousands of workers lost their jobs. For example, UNE the public sector worker’s union went from 40,000 members to 6,500 members. Between 1990 and 1994 there were 396 strikes aimed at defending workers rights which were under heavy attack from a government determined to impose neoliberal economic reforms and to eliminate the legacy of the Sandinista revolution. In 1997 the FNT changed its structure and a proper coordinated, unitary and autonomous strategy was developed alongside a unified training system for trade union activists. As part of this the FNT developed a new strategy of municipal organisation. As a result the FNT became a truly national organisation with some 137,000 members. Thanks to the strategy of municipal organisation the FNT developed local-level projects and strengthenedd municipal level trade union organisation. In many areas the FNT became part of the Committees of Local Develpment. In 2004, 121 trade unionists were elected in municipal elections, 11 of them as mayors. The FNT continued to grow during this period and by 2005 had reached 161,000 members. Since 1999 more than 6,500 trade union leaders have been trained in the new organisational strategy. 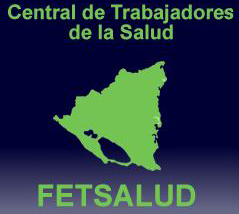 FETSALUD - Federation of Health Workers. The health sector workers’ union. 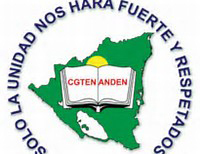 CGTEN-ANDEN – The General Confederation of Education Workers of Nicaragua. CTCP – The Confederation of Self Employed Workers. Since the neoliberal reforms of the 1990s, the informal sector has been the largest in Nicaragua, and the CTCP was set up in 2005 to organise these workers. UNE – The National Union of Employees. The Public Sector Workers’ union. 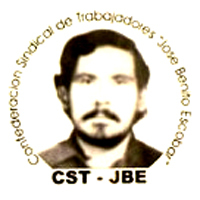 CST-JBE – The Jose Benito Escobar Union Confederation of Workers. This confederation organises workers in construction and industry. 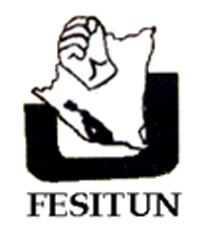 FESITUN – the Federation of University Workers of Nicaragua. The higher education workers union. FEPDES – University Lecturers Union. CTAI – The National Confederation of Agroindustry Workers. CTMLAC – The National Confederation of Workers of the Sea, the Coast and Linked areas. The FNT attributes its steady growth to the development of a new kind of ‘socio-political’ trade unionism which seeks to organise within civil society at local level in order to be able to influence economic, social and political processes where they most affect workers. The existence of a Sandinista government favours this vision since the Sandinista government has established 'Gabinetes' (cabinets) at local level in order to implement its vision of direct local democracy. The FNT and the Nicaraguan trade unions support the construction of this model of political organisation and see their role as making changes within it that favour Nicaraguan workers. This role in society as negotiators with both government and business means that the FNT has developed activists who understand how these spaces function, and who are well versed in the issues in order to negotiate as effectively as possible. So, in addition to focussing on workplace issues, the FNT and its members are also concerned with social, environmental, economic and political problems such as housing, health and access to education and social security. By concentrating on this broader role, the FNT hopes to help the government build a more equal society where all Nicaraguans can live in peace and with dignity. It is this society that the FNT and the Sandinista government define as a “Christian and Socialist Society of Solidarity”. Whilst this may sound strange in English, in Nicaragua, a country with a largely religious population where the 1980s revolution was heavily influenced by ‘Liberation Theology’, the emphasis on the religious and the political is quite natural. The overall aim of the FNT is to promote direct democracy and strengthen social coordination between all the different social organisations in order to achieve more social justice and development. UNE has its origins in the struggles of the Sandinistas to overthrow the brutal Somoza dictatorship. After the Sandinistas came to power in 1979, the union started organising in government ministries representing workers in communications, energy, water and the municipalities. From 1979 to 1990, the union set up collective bargaining agreements and promoted a Civil Service Law to guarantee job security for workers regardless of the political party in power. In 1990, the Sandinistas lost the elections and a US-backed right wing coalition came to power. The neo liberal years lasted until 2007, during which time the public sector was brought to its knees. Over 100,000 state sector workers lost their jobs - 66% of the workforce - including 2,500 union leaders. Partly because of the privatisation of previously publicly owned services and in part because of attacks on unions, the membership of UNE fell to 5,000. One of UNE's priorities is to strengthen the image of the public sector, which was hugely tarnished by corruption during the 1990s. The emphasis is on providing quality and efficient public services and on transparency. UNE is also keen to recruit and train more women and young members. 56% of UNE members are women and it has active Women's and Youth Committees. The return to power of the Sandinista government in 2007 saw the restoration of the public sector and of trade union rights. UNE now has around 40,000 members and its members have seen vast improvements in working conditions and salary levels. UNE organises in central government (social security, tax collection) and local government (municipalities) and in the electricity and water industries. The latest union to be affiliated to the FNT is the CTCP Self Employed Workers' (informal sector) Union. Formed in May 2002, the union currently has a membership of 60,000. Members are organised into 152 trade union branches which are affiliated to eight federations. 48% of the union's members are women and 52% men. Of the total membership, 65% are young people between the ages of 16 and 36. The union brings together people who work in the streets selling all kinds of cheap goods and services. They produce food such as tortillas, soft drinks and traditional sweets. Some are the owners of small and micro-businesses, while ohers have workshops for mechanics, carpentry and tyre repairs. Others work as money-changers, artisans, tailors, seamstresses, barbers, grocers, porters with handcarts, litter pickers and hawkers, taxi drivers, rickshaw tricyclists, lottery sellers and mobile phone sellers. Some work in people's homes as plumbers, labourers or electricians; others are professional people and craft workers. The informal sector is characterised by different relations between employer and employee than those that exist in the formal sector. These workers work in very difficult conditions and were often socially marginalized in the past, particularly during the years of neo-liberal government. They represent a large percentage of the Nicaraguan work force, comprising 60 to 65% of the economically active population. Around 90,000 of them work in the streets, very many of them for up to 14 hours a day in all weathers and without any personal protection or access to social security. More often than not, their earnings are not enough to meet basic subsistence needs. The Sandinista Government has now developed a strategy to incorporate those working in this sector into the Government's social programmes and the union continues to campaign for full access to social security. The sector contributes around 44.4% to GDP, 80% to food production and 75% to transport. In 2007, the National Assembly removed the law which had banned working in the streets and had subjected workers in the sector to the threat of eviction by the police. Today, these workers have a chance to build a better life for themselves, with access to welfare and social security. Sexual harassment and crime, previously major problems for vulnerable workers such as these, have been significantly reduced. The process of organising self-employed (informal sector) workers is ongoing; its fundamental objective is to transform and institutionalise their work in order to guarantee a better future for these workers and their families. The CTCP is now represented in various government institutions, including the health and social security ministries, minimum wage commission and national labour council, and has become a productive force in the country. The union's current priorities include: developing and strengthening the union, fighting for the rights of its members, investing in people and raising the self-esteem of those working in this sector, promoting the active participation of women and young people and empowering them to take up leadership positions, promoting decent work and social cohesion, improving education and training for members (many of whom have no formal education), improving health and safety, lobbying for all workers in the sector to have social security cover and protection of their political and cultural rights, working to eliminate poverty and marginalisation among workers in this sector. The union has its own credit and savings cooperative, as its members are unable to get credit from banks. It has also established an education and training programme, which includes courses on food preparation, hairdressing, managing finance and studying the market. One significant issue is the fact that women working in this sector do not tend to pay great attention to their health. This is due to two factors mainly - lack of education and lack of time. The CTCP is currently working with the Ministry of Health and four universities in Nicaragua to complete a health study on the effects of working in the street. The union recognises that there is a problem with child labour, largely caused by high levels of family breakdown. The union has established a programme to address this issue; so far, the programme has reached 1000 children working at traffic lights, but it is hoped to extend this programme in the future. FETSALUD organises doctors, nurses, administrative staff and auxiliary workers in the health sector. 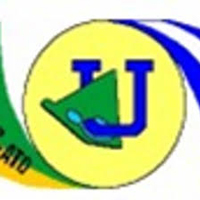 The trade union was set up in 1974 under the Somoza dictatorship. During the 1980s, there were 35,000 health workers, but savage cuts imposed by neoliberal governments after the 1990 elections meant mass sackings. Many health workers lost their jobs. In spite of this, thanks to the resistance of health service workers,the full privatisation of Nicaraguan health care was avoided. However, after 1990, despite free health care being a constitutional guarantee, the realisty was that the health service was terribly underfunded and suffered from acute shortages. For example, a law was passed in the 1990s that obliged the Nicaraguan government to buy expensive branded medicine from multinational pharmaceutical companies through the private sector. The FSLN put forward a proposal to try to change this, but was unable to do so. Until 2007, Nicaraguans in effect ceased to have access to free and affordable health care. Today FETSALUD represents 28,000 - 30,000 health workers including both medical and non-medical staff (cleaners, gardeners, catering staff, administration, security etc.) Since 2007, the Sandinista government has been committed to transforming the way the health service works. Free health care has been introduced for all (this includes breast screening and ultrasound). The government is once more building community health facilities so that there is access to primary care with at least one doctor and one nurse in each community. Health service workers are again valued for their work. In January 2014, the Government announced wage rises of around 7% for some 30,000 health workers including doctors and nurses. The 2015 National Assembly budget has given priority to health and education, and provides for 600,000 new health workers to be hired. Wages for health workers remain low but are significantly subsidized by government programmes such as ‘Zero Hunger’ and the ‘Solidarity Bonus’ which all low paid workers have right to, as well as government subsidies to energy and transport. As well as improvements to salaries and insurance payments, workers receive a free uniform annually and pregnant women now have the right to pre and post natal maternity leave. Children also now have free healthcare until they are 18. As a union FETSALUD is prioritising the recruitment and organisation of women and young people and the strengthening of their structures within the union. Eighty per cent of FETSALUD's members are women. The biggest policy priorities for FETSALUD are members' working conditons and and improving the health service for the population. FETSALUD's work focuses on health education and preventive medicine and a large part of their work as health professionals involves visiting communities to carry out vaccination programmes and/or to visit people in their homes who are suffering from chronic illness. In March 2014, the Government launched a week long national vaccination campaign aimed at adults and children. The campaign included vaccinations against polio (which has not been seen in the country since the 80s), diphtheria, tetanus and pneumonia. One of the more serious problems faced by health workers over the past few years has been the incidence of the mosquito-transmitted illnesses Dengue fever and Chikungunya. FETSALUD members have continued to carry out work in the communities which involves carrying out fumigations and eliminating sources of standing water, which are breeding grounds for the mosquitos. ANDEN is one of the biggest teaching unions in Nicaragua, representing over 80% of primary and secondary school teachers. It has 27,000 members, organised into 24 federations and 122 local branches. It organises in the public and private sectors, although only 5% of the country's schools are in the private sector. Since the election of the Sandinista Government in 2007, there have been significant improvements in the education sector, with better working conditions and salary increases for teachers. During the seventeen years of neo-liberal government, teachers earned on average 90 dollars per month, now the figure is around 250 dollars per month. The national budget has prioritised education (as well as health) and has allocated 7% of the national budget to education. The union's focus is on improving the quality of education and changing attitudes, so that more children will stay at school. Efforts have been made to strengthen areas such as tehcnology, gender equality and training trainers for community development. The union has also introduced a programme of capacity building and continuous professional development. Teacher training has been introduced in the whole of the country in an effort to motivate young people to become teachers. The union strongly believes that education is a right, and not a privilege that you pay for. FESITUN was established in 2001. It organises non-teaching staff in universities, which includes administrators, gardeners and maintenance staff. It has 4000 members, 56% of whom are women. During the 1990s, the union was involved in a huge campaign to demand a 6% salary increase - there were regular marches and demonstrations and many confrontations with the police. Since the election of Daniel Ortega in 2007, the union has seen salaries increased by around 120% for its members. Around six percent of the national budget is now earmarked for universities. There are 10 universities in Nicaragua - 4 at state level, 4 private (Jesuit, Dominican, Orthodox and Baptist) and 2 community (Atlantic Coast). Two of the state universities are in Leon and Managua; the other two are new and are specifically for engineering and agriculture. All of the universities allow trade unions, with the exception of the Orthodox university, and each university faculty has a trade union representative. The Federation of Professional Higher Education Teachers of Nicaragua (FEPDES) was created in April 1990 and recognised as a Federation in 2001. However, it has a history stretching back to the 1970s. FEPDES grew out of the Association of Teaching Workers (ATD) which was set up in 1979 and had branches in all the public universities. This in turn grew out of the Ruben Dario Association of University Teachers which was formed in the mid 1970s. In 1990 the different branches of the ATD joined together to form a national federation and in 2001 it changed its name to FEPDES-ATD. Most FEPDES members work in Nicaragua’s public universities because it is more difficult to attract teachers working in private universities as they tend not to have permanent contracts and mostly work on an hourly, quarterly or six-monthly basis. However, FEPDES has managed to form two branches in private universities. Even though they don’t have many members from private universities, the union still fights for their rights. In 2008 they managed to get Law 671, which relates to special working conditions, passed by the National Assembly. This allows for the wage rises that public university lecturers secure to be passed on to private university teachers on a pro rata basis, as well as stipulating that part time lecturers must be registered with the social security system (INSS). The FEPDES has 5,109 members of which 2,649 are full time workers and 2,460 are part time or hourly workers. Establishing the FEPDES as the only union of hourly and permanent university lecturers. Securing benefits such as laws that protect trade unions, a highly favourable collective agreement and regular salary increments. Ensuring their representation in all bodies to do with university education such as the National Council of Universities, the National Council of Education, the National Council of Economic and Social Planning and observer status on the National Council of University Rectors. Since 2007 FEPDES has been able to work hand-in-hand with the FSLN government. Education sector unions have not had to fight for the 6% of the annual national budget which is legally theirs as they were forced to under previous governments, and they have received $18 million dollars in technological equipment for university laboratories. The government has also announced a $2 million dollar programme of grants to enable poor students to go to university. With the government guaranteeing university budgets salaries have improved. There is also a new house building project for university lecturers and administrative workers that will be administered by the FNT using public and international funds. The support of the education sector unions is part of the FSLN government’s National Plan for Human Development, which underlines higher education’s role in resolving “economic, productive, social and cultural problems, especially those that reproduce the vicious circle of exclusion and poverty.” It thus includes an important role for the universities with regard to scientific research and the provision of academic services. The CST is a nationwide union and was established in 1979. It mainlyrepresents workers in the industrial and manufacturing sectors. Affiliated unions include those representing workers in the construction industry and in the Free Trade Zones. Currently Nicaragua is seeing a boom in construction as the government invests in infrastructure projects such as extending the road network, and as economic growth promotes construction in the private sector. Since the Sandinista government was elected in 2007 the CST-JBE has participated in the tripartite agreement between unions, government and business to establish the bases of stability and economic growth for Nicaragua. This agreement has resulted in improvements to labour laws, to the enforcement of these by the Ministry of Labour, and the freedom to organise in industry and in free trade zones. This has seen the CST-JBE grow by 20,000 members in three years, and today they have around 97,000 members organised in 19 federations and 150 trade unions branches. The CST-JBE is organised in federations by sector and by region in order to be closer to their affiliates. Although free trade zones have existed since 1970, the number of people employed within them has increased rapidly since 1990. There are now 85 factories, predominantly foreign owned, operating within the free trade zones, employing 80,000 workers directly and a further 200,000 indirectly. However, some of these companies have threatened closure and relocation outside of Nicaragua as a reaction to recent minimum wage increases under the FSLN government. The CST-JBE now has 15 federations organised within the FTZ in Nicaragua. Union repression was formerly common in FTZ factories. Conditions in the factories were generally poor, with long working hours and workers were expected to meet high production targets and were often compelled to work extra hours if their quotas weren’t met. Today the CST-JBE organises 15,000 of the 80,000 workers in the free trade zones. The freedom to organise within the FTZ, together with the tripartite agreement between business, government and unions since the Sandinista government came to power has yielded “excellent results” with the FTZ’s providing 5,000 new jobs in the last half of 2010, and a predicted increase of another 5,000 in early 2011. Moreover, the introduction of ‘Mixed Commissions’ means that health and safety regulations are now implemented, and various emergency contingency plans have been introduced. The Ministry of Labour regulates this process and through the application of sanctions ensures that companies abide by their legal responsibilities. The CST-JBE has worked hard to minimise the potential negative effects that trade agreements such as CAFTA and the Association Agreement with the EU might have. In this sense the CST-JBE has been able to get the government to sign laws on workplace security that regulate the rights and duties of employers and establish heavy industry workers' rights to medical check-ups.